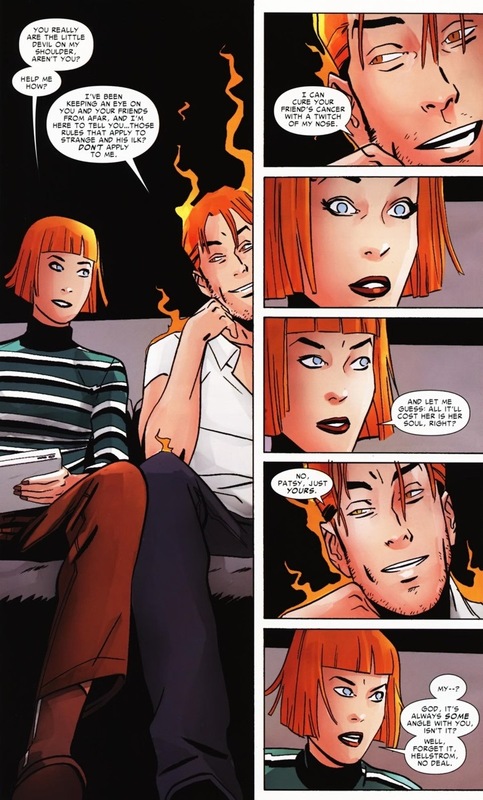 I’m not saying that Hellcat and Daimon Hellstrom’s marriage wasn’t going to work out (real names Patsy Walker and Daimon Hellstrom respectively), but one’s a former fashion model and the other’s the Son of Satan, evil incarnate. 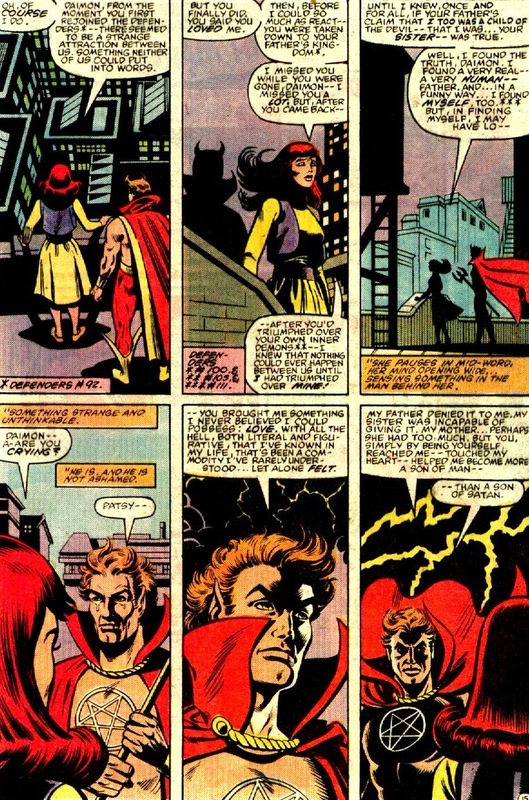 Still, there’s no reason the romance couldn’t play out in standard comic book drama, like in Defenders #116, written by J.M. 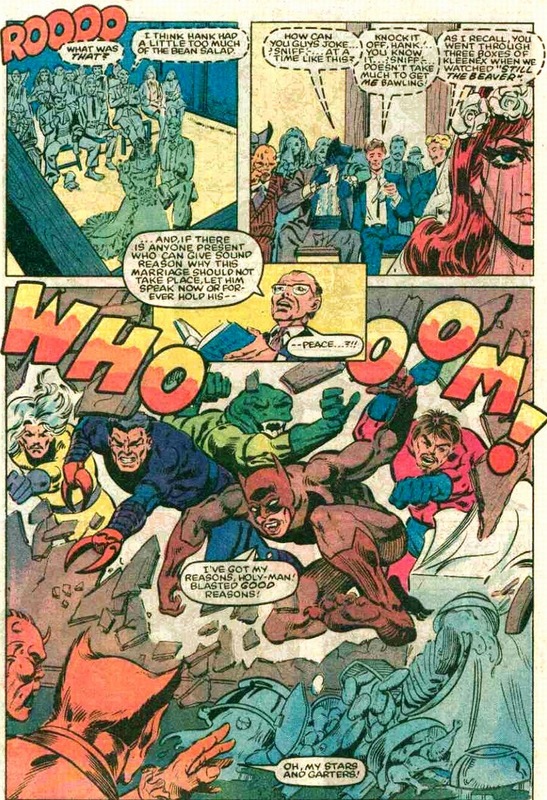 DeMatteis and drawn by Don Perlin. But we know the morbid finale to their tale. 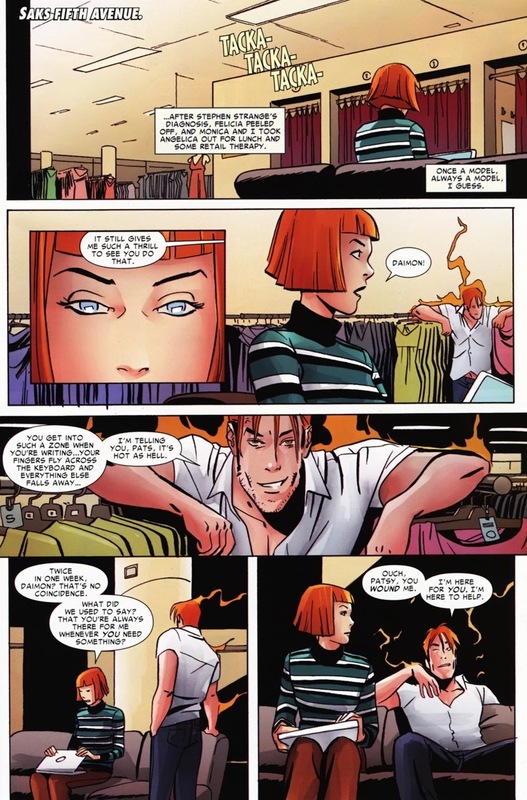 Hellstrom’s mischievousness lives on as he continues to manipulate living playthings while Walker has to rebuild her life from scratch after being trapped in Hell for years. 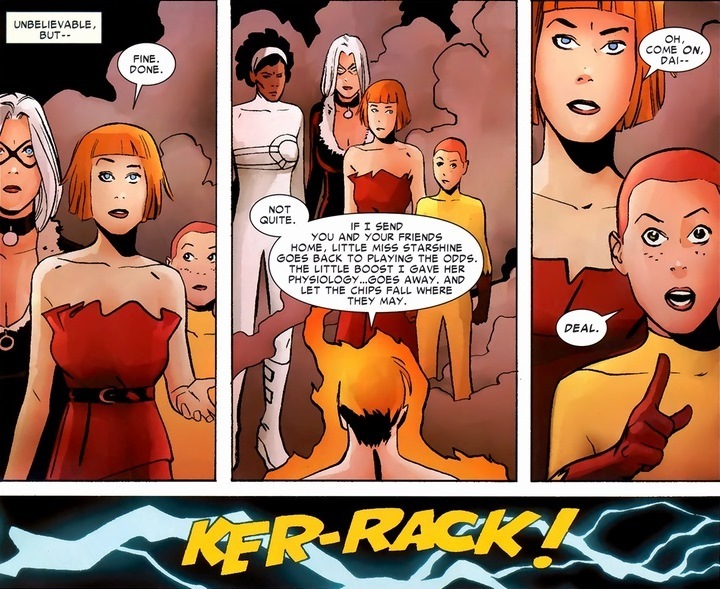 Normal divorce stuff, and most importantly, Walker begins a new life sans-Daimon Hellstorm. 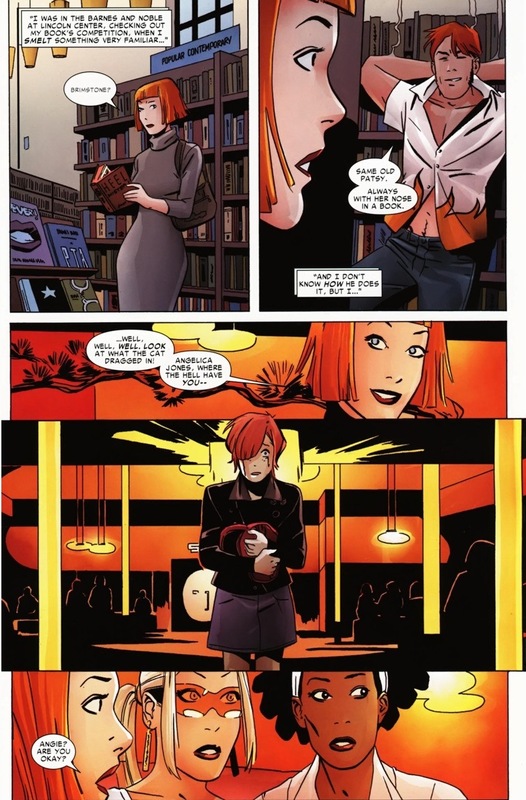 Unfortunately, she can’t completely escape her past in the miniseries Marvel Divas #1-4, written by Roberto Aguirre-Sacasa and drawn by Tonci Zonjic. 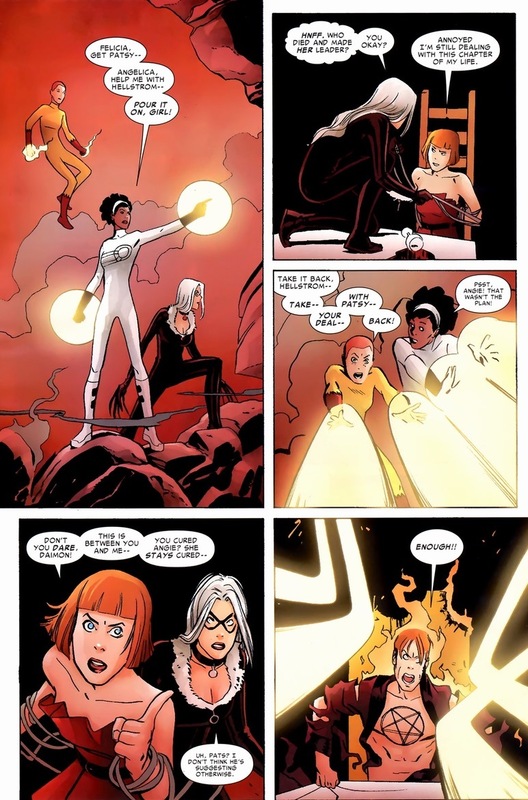 To sum up the plot — Good friends Hellcat, Firestar (Angelica Jones), Black Cat (Felicia Hardy), and Captain Marvel (Monica Rambeau) hang out together to gossip, get drinks, and punch criminals. 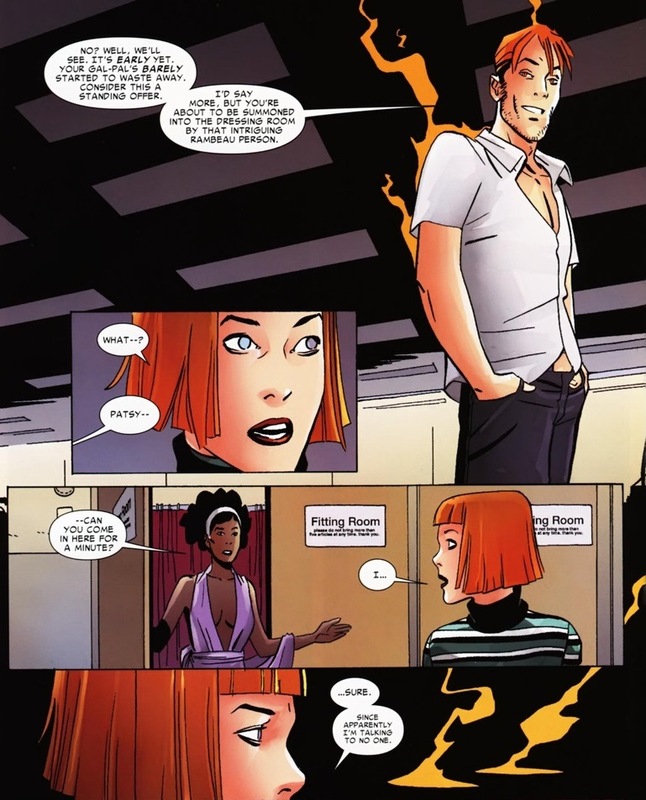 Hellstrom’s a mysterious character in the Marvel universe. He constantly switches from the superhero to the supervillain side. His battle costume is a pentagram strewn on his shirtless chest. 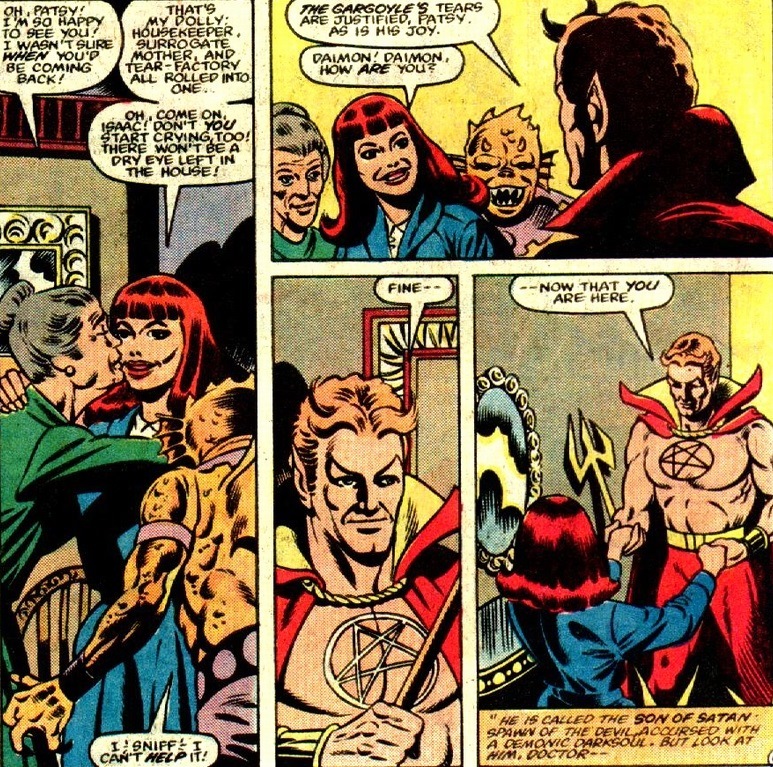 But we can all sort of agree that Daimon Hellstrom fits in that prestigious Loki category of characters whose only side is themselves. 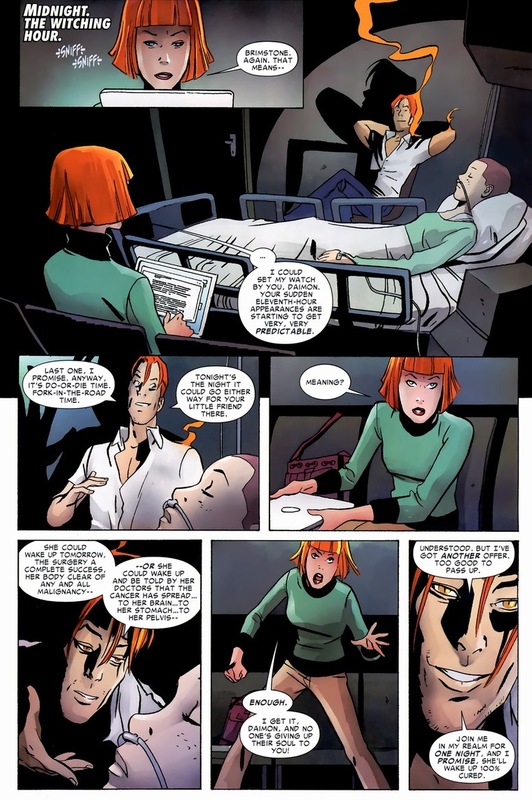 Sadly, the Son of Satan’s pessimism holds up in this case, as poor Firestar’s cancer and subsequent treatment force dear Hellcat to make a drastic, desperate, and slimy choice. 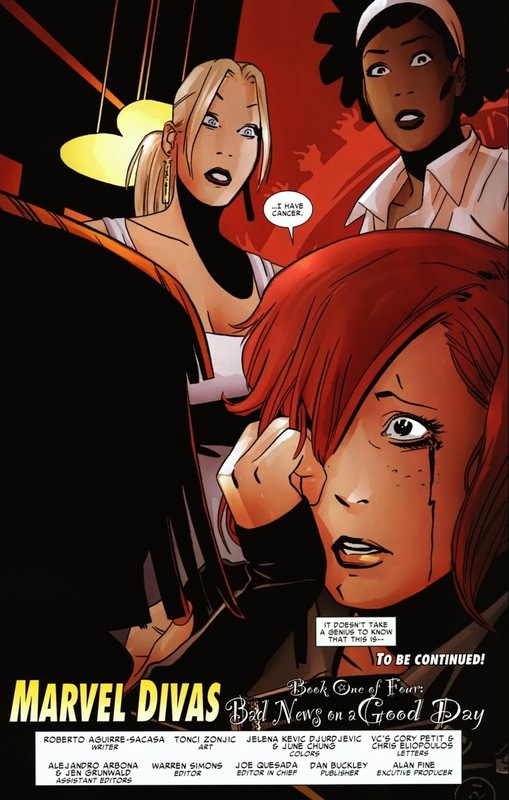 Even without Walker’s insanity driven suicide, I can’t imagine the marriage’d last much longer than it did. 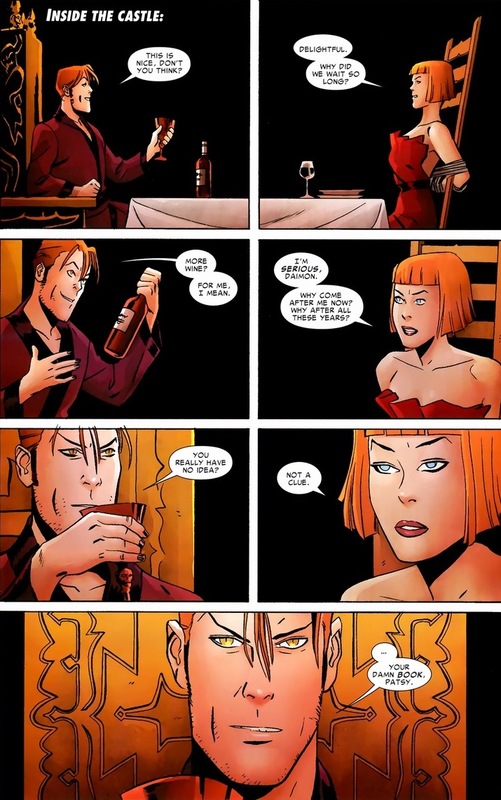 Note Hellstrom’s wallet chain. No one’s going to ruin the Son of Satan’s credit or steal his social security number if he can help it. 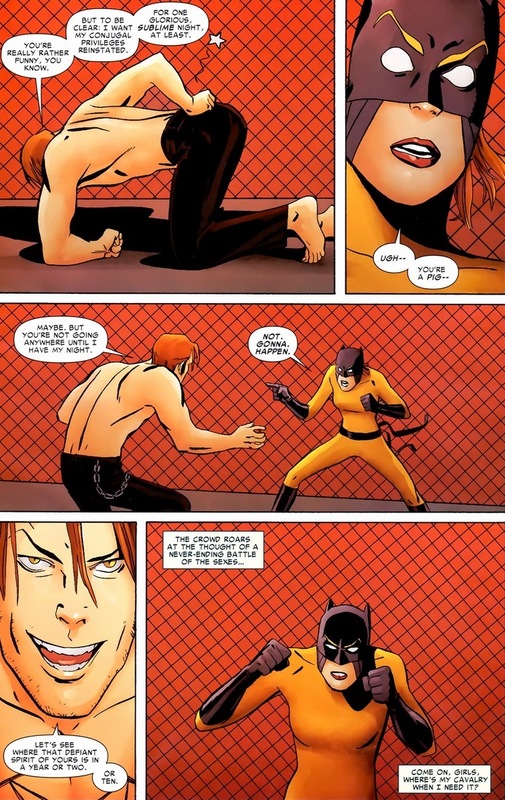 Chauvinistic attitude aside, our half-naked antagonist should have known this plan wouldn’t work when he resides so clearly on the evil side of that hero fence. 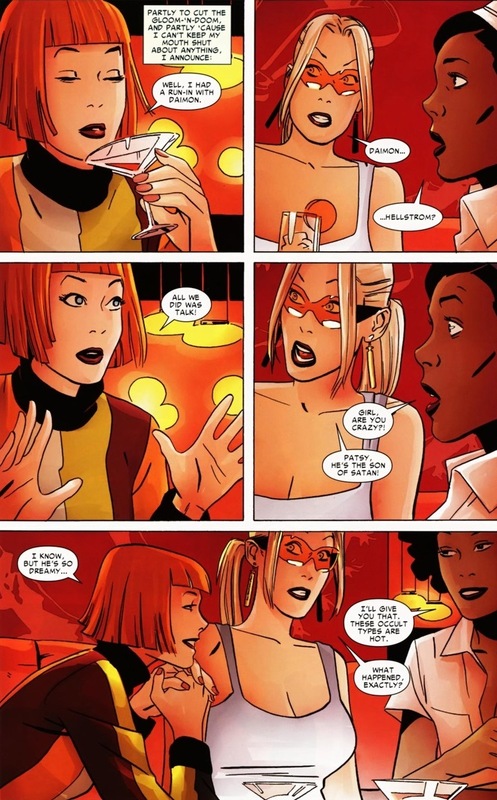 Even Wolverine knows that “no means no” as he propositions ladies in between his beer burps. Superman has kryptonite. 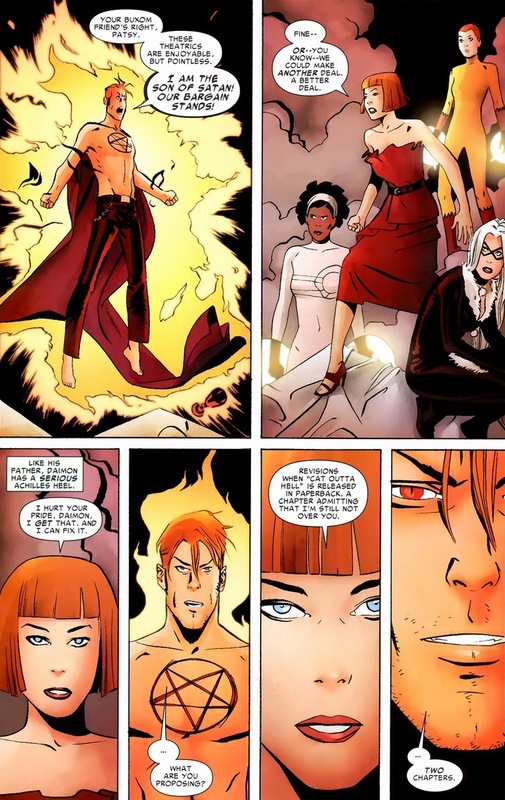 Daimon Hellstrom has his unwavering and all-consuming narcissism. I believe that’s the last time the two of them have seen each other. 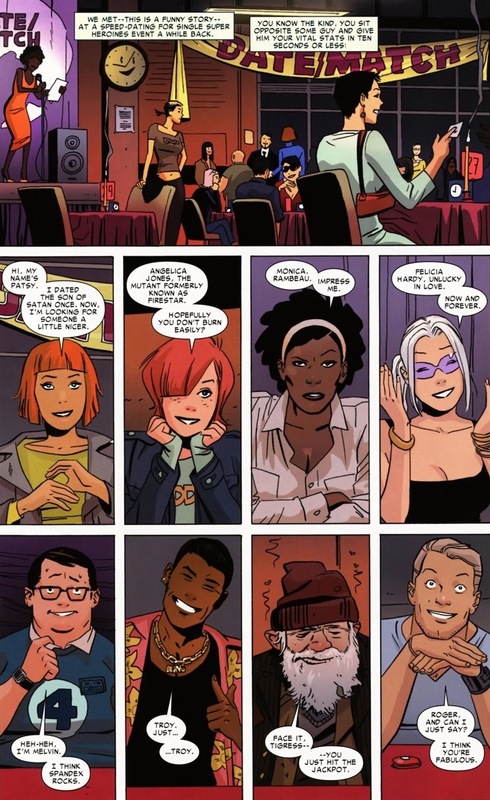 Hellcat shows up sporadically in various issues after this, but nothing substantial. 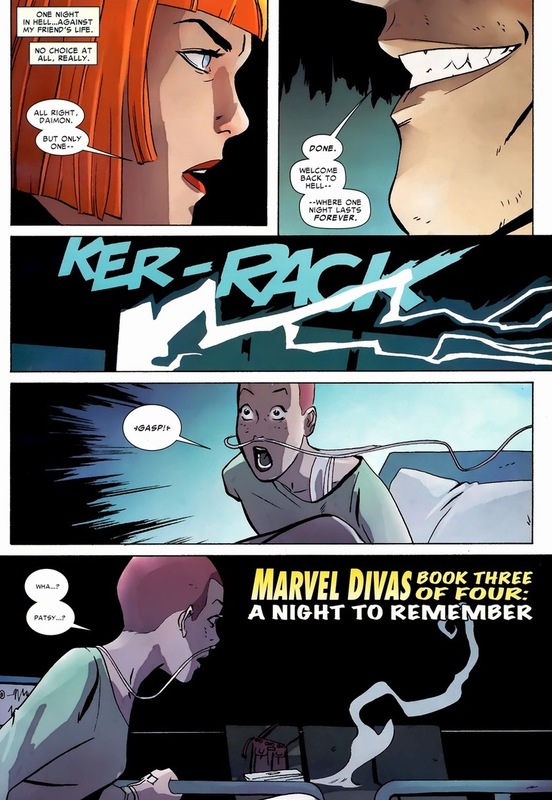 Hopefully her face’ll pop up in a starring role sooner or later — she’s the Hawkeye of superheroes with cat names.